Brian Dolan an experienced business development and marketing executive, has joined ISR as Vice President-Business Development. He has successfully led pursuits for major transportation projects in the New York metropolitan region and in other U.S. cities. “Brian’s successful track record in creating winning teams comes from effectively transitioning from a high level public agency position to the consultant sector. He was able to bring a client’s view to team building and the understanding of the client’s ultimate goals for the team strategy”, said Julie Kroloff, ISR’s owner. Prior to entering the A&E business, he served as Vice President of Market Development and Public Affairs at MTA Long Island Rail Road, one of the largest and most politically complex commuter rail systems in North America. Brian Dolan established LIRR’s first department with all public relations, communications, government affairs, community relations, and marketing functions under one umbrella of management. He managed the communications operation with a hands-on style, linking senior management directly to media relations, government affairs and crisis management. He also served as primary corporate spokesperson and counseled the LIRR President and senior management on a variety of challenging public issues. 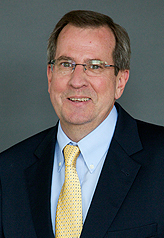 Brian Dolan is a member of the New York Transit Museum Board of Trustees. Surren Sirkisoon, Vice President of Systems and National Rail Transit Director: Surren Sirkisoon serves as Vice President of Systems and National Rail Transit Director. He joined ISR over seven years ago and has anchored the company’s emergence into the Communications and Electronic Security arena. Surren has balanced his duty to ISR and loyalty to clients while working with the agencies of the New York Metropolitan Transportation Authority, Amtrak and New Jersey Transit.